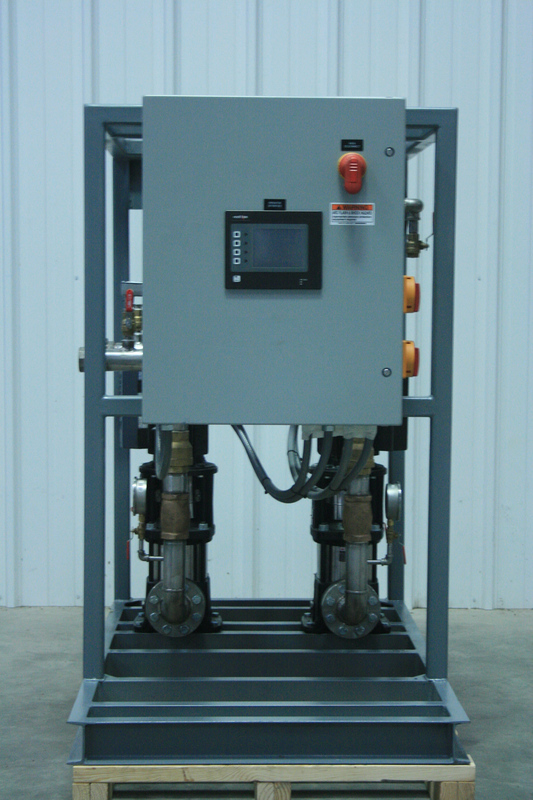 Envirosep designs and manufactures domestic water booster systems to fit your specific application. 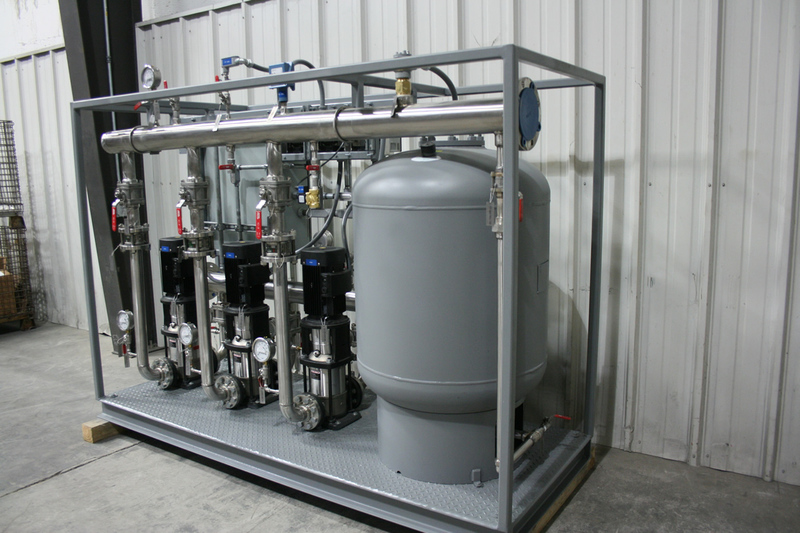 Whether your application requires constant or variable speed pumps or whether you need to add a hydro-pneumatic tank, Envirosep delivers with exceptional quality. The envirosep DBS-C, our constant speed domestic booster package for continuous system loads, is an excellent selection for boosting applications which have extended periods of system load demands; whereby facility leak loads are not present. The system lead pump is automatically disabled during low demand periods. Upon a decrease in system pressure, the lead pump is automatically restarted system lag pump(s) are automatically staged on/ off based on actual system requirements. The lead and lag pumps may be sized in any proportion to permit the optimal energy consumption; thereby, minimizing power costs and energy demand. Pilot-operated, pressure reducing valves (PRVs) maintain required downstream pressure based on manually adjustable setpoints. 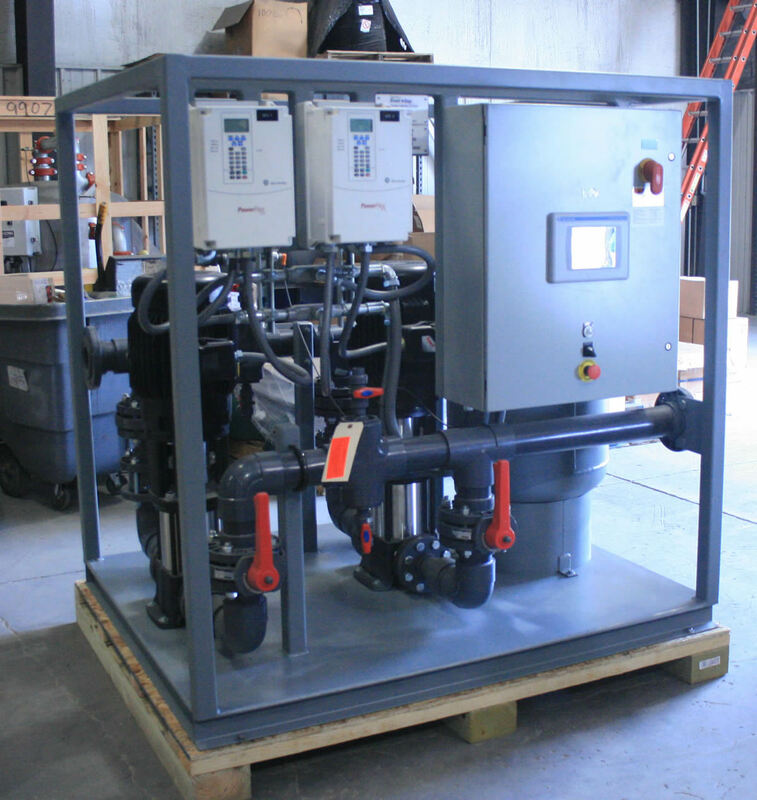 The envirosep DBS-CHT, constant speed domestic booster package with hydro-pneumatic tank, is an excellent selection for boosting applications which have periods of no system flow or minimal facility Leak Loads. 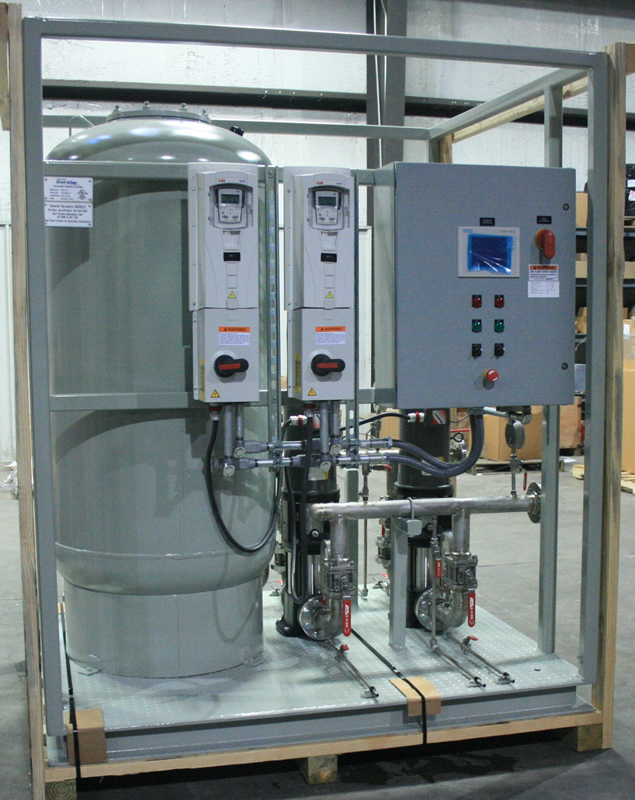 The hydro-pneumatic tank permits the lead pump to shut-off during low demand periods, while maintaining system pressure. Electrical power is thus conserved, minimizing operating costs for the user when compared to standard constant speed domestic booster systems. System lag pump(s) are automatically staged on/off based on actual system requirements. 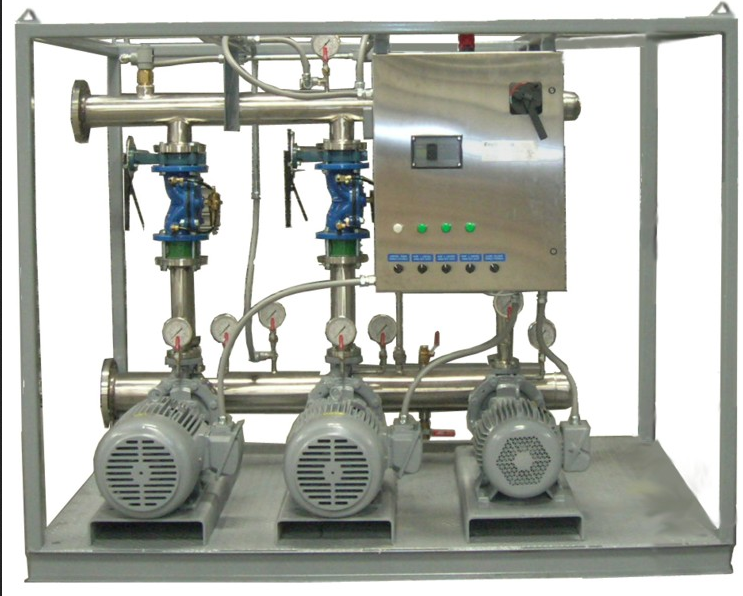 The envirosep DBS-VHT, variable speed domestic booster package with hydro-pneumatic tank, is specifically utilized for boosting applications which have variable system suction pressures and/or variable system flow demand. 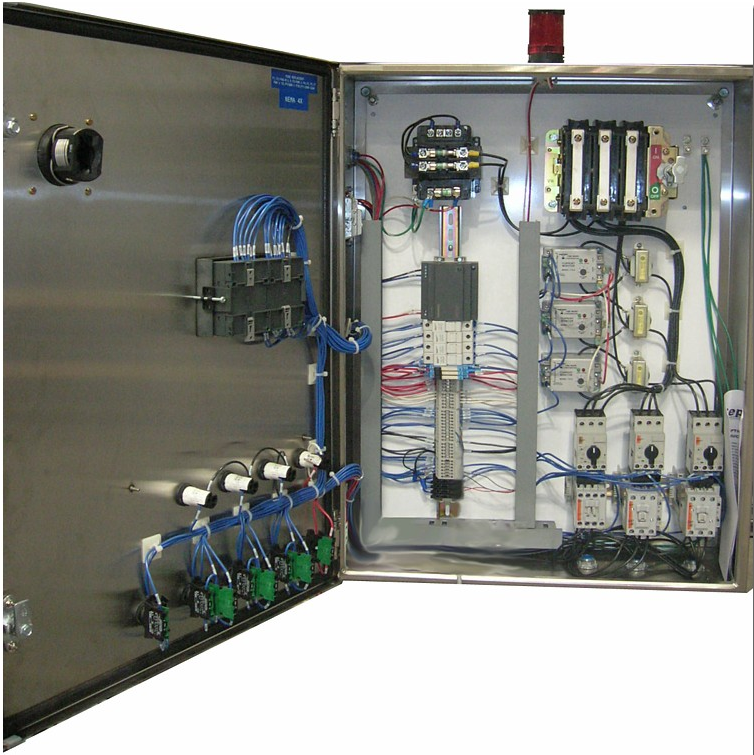 The variable speed system allows the system to operate at system requirements, while consuming minimal electrical energy. 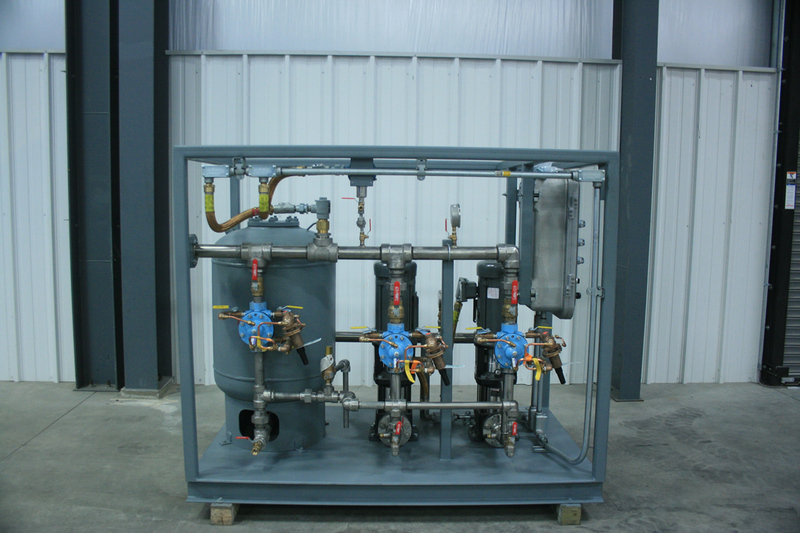 the hydro-pneumatic tank permits the lead pump to shut-off during low demand or leak load periods, while maintaining system pressure. Annual costs savings are determined on the load factor based on pump speed. System lag pump(s) are automatically staged on/off based on actual system requirements. Envirosep engineers can provide system designs to meet specific site criteria. Contact us to learn more about Envirosep solutions. 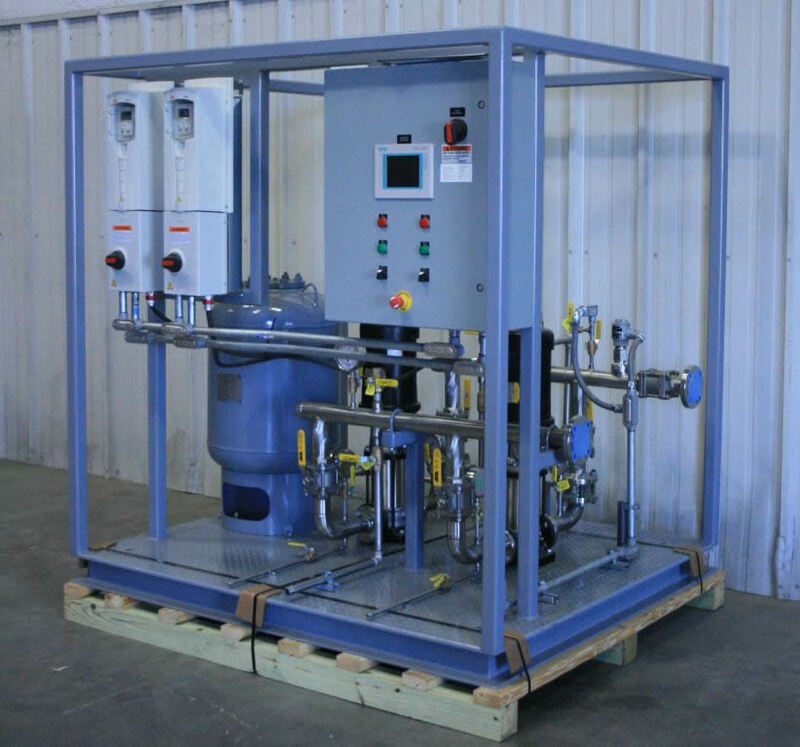 We offer integrated solutions for your fluid handling, heat transfer and energy recovery needs.